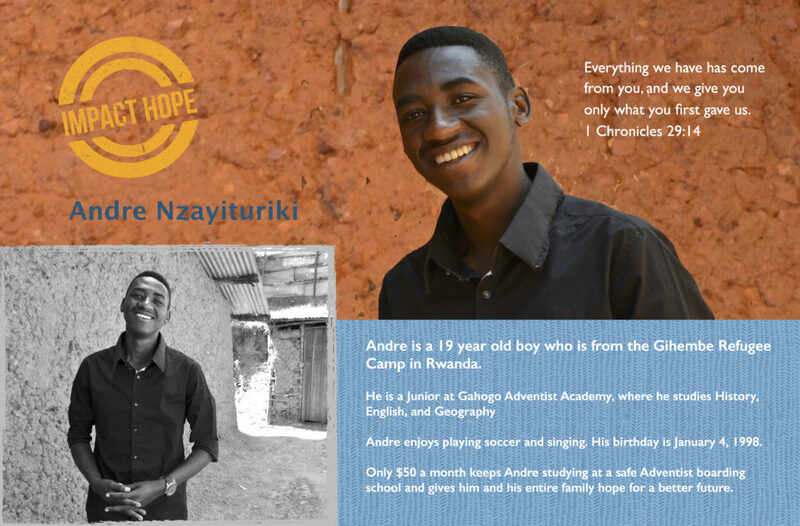 Give the Gift of Hope, Growth, Education and the Chance to Thrive! 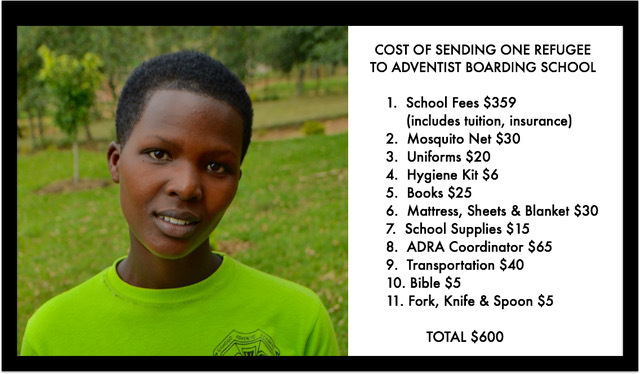 By sponsoring a refugee high school student to attend a Seventh-day Adventist boarding school, you are not only helping them achieve an education that can land them a sustainable job, you are saving them from refugee life in the camps. Aside from meager meals and unstable living conditions, refugees that wish to pursue education beyond 9th grade must walk 14 km to the nearest Upper Secondary school. Imagine a displaced, poverty-stricken teen having to walk this distance through rough terrain, potential rainstorms, and the possibility of being ambushed by locals along the roads. For just $600 per school year ($50 per month) you can save one of these teens and give them a chance to get jobs and move their families out of the camps. Your student will write you letters, telling you about the wonderful things they’re learning at school. To write back to your student or send a gift, please send to Impact Hope’s domestic address. They love to receive photos of their sponsors, classroom supplies or other small gifts! You will receive a sponsorship card, similar to below, all about your student, including their picture, their aspirations, and their family information. View a list of students that currently need sponsors. Learn more about building a future for a young refugee! Enter your information below to submit your questions.